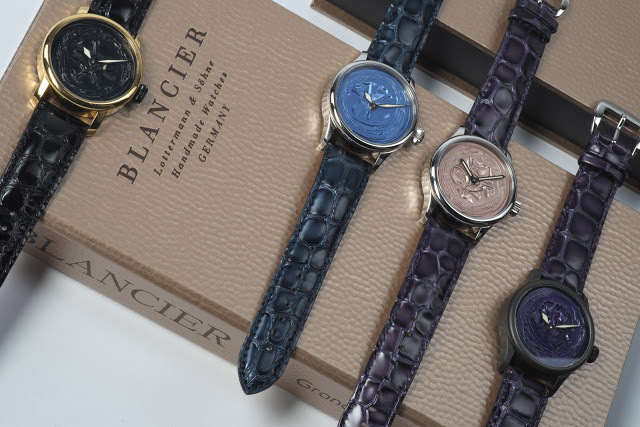 Blancier is a small brand that sells watches assembled from off the shelf parts that come from Asian suppliers. There are countless other outfits doing the same online. 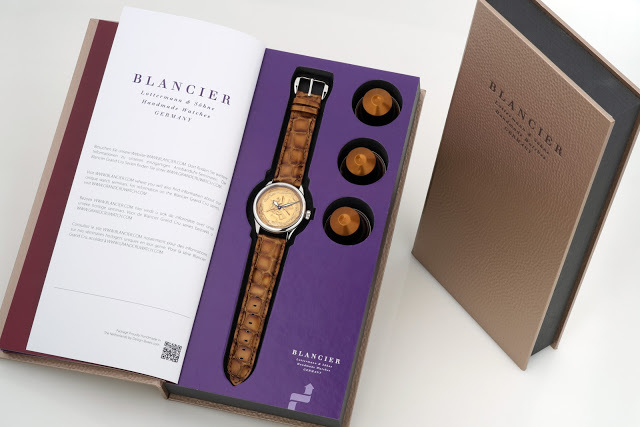 Their latest product, however, is unusual – the dial is a flattened Nespresso capsule. 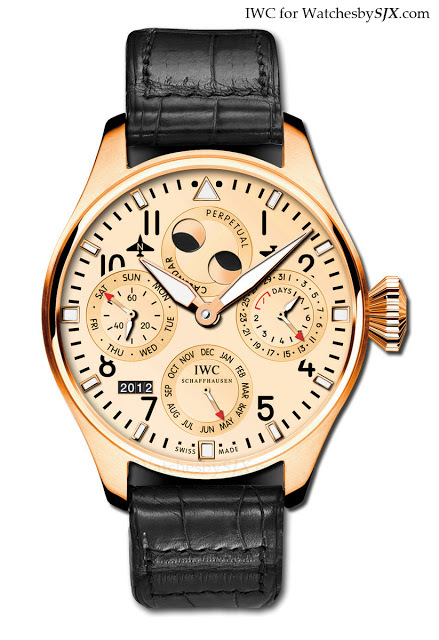 IWC has just announced a new variant of its Big Pilot’s Watch Perpetual Calendar. 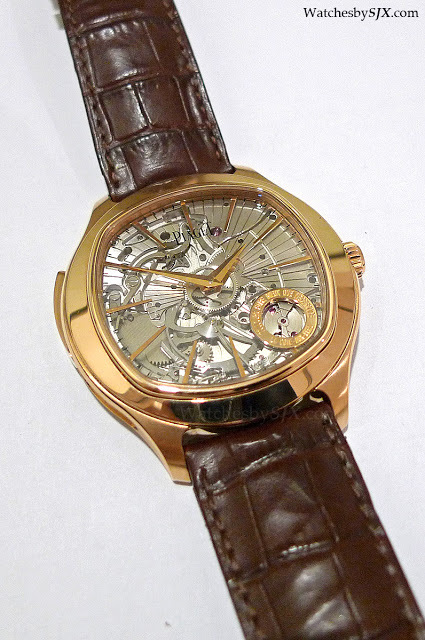 This has a red gold case with a matching gold dial. The specs are identical to the regular Big Pilot perpetual calendar: 46.2 mm diameter and 15.8 mm height. At SIHH in January Piaget will become the latest Richemont brand to boast of an in-house minute repeater with Emperador Coussin Ultra-Thin Minute Repeater. At 9.4 mm high, this is the thinnest minute repeater today. 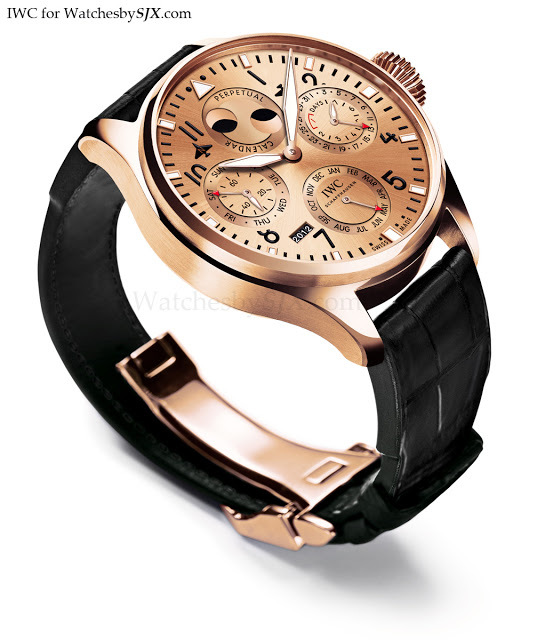 Also, the cushion-shaped case is also water-resistant to 30 m, which is unusual for a minute repeater with a slide. This is the second striking watch from Piaget, the first being a grande et petite sonnerie developed by FP Journe for Piaget in the nineties. 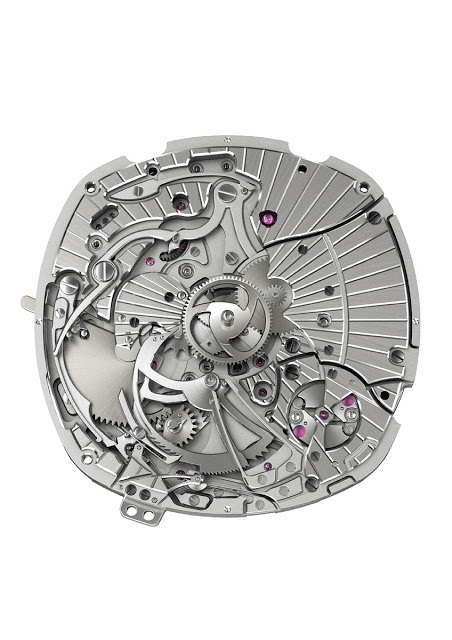 Inside is the in-house 1290P calibre, which stands at only 4.8 mm high – that is remarkably slim. Built on the 1200P ultra thin movement, the minute repeater movement is a micro-rotor automatic, with a 40 hour power reserve. Its thinness means many of the components are miniscule; some wheels, for instance, are just 0.12 mm high, while a human hair measures 0.08 mm. This makes assembly much more challenging. One consequence of the ultra-thin construction is the downward action of the repeater slide, in contrast to the conventional upward slide. The repeater chimes in the fifth octave, at G sharp for the hours, and the minutes at A sharp. The loudness of the striking is 64 decibels, which is very audible and similar to the Jaeger-LeCoultre Master Minute Repeater and last year’s Rotonde de Cartier Minute Repeater Flying Tourbillon. Though the watch I saw and heard was a prototype, it still sounded good, and I expect the final product to score high marks. Though the case is large at 48 mm, as much material as possible was removed to maximise resonance and sound transmission. To that end, the movement is secured to the case at four points, while the gong mount is screwed to the movement as well as the case. 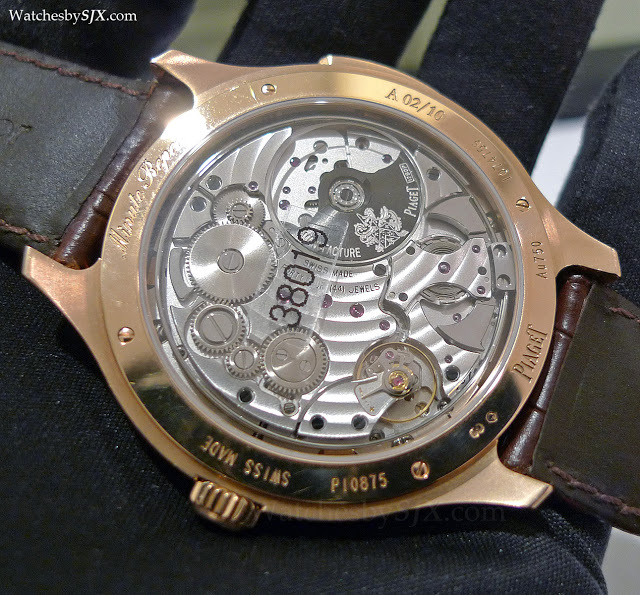 Because the watch has a sapphire dial, all the workings of the repeater are visible. 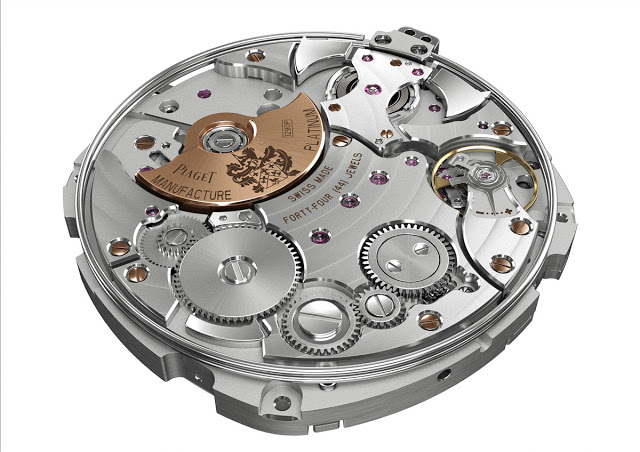 Everything is finished to a high standard; though it has to be remembered Piaget movement finishing in general is excellent. I have always liked the Emperador Coussin case, even with a large diameter like this it remains elegant. 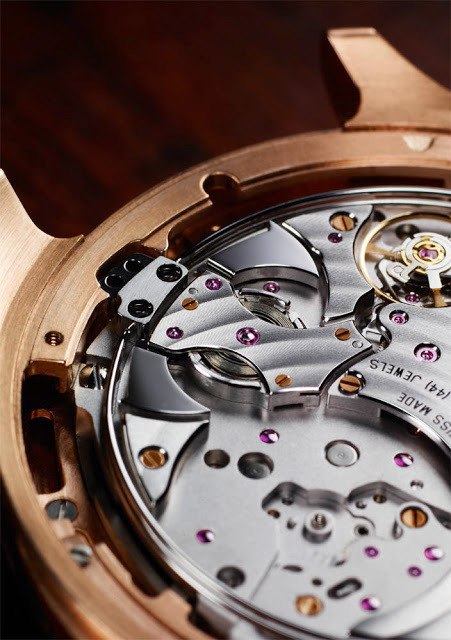 When paired with ultra-thin movements as is the case for Piaget, the cushion shape sits very well on the wrist. 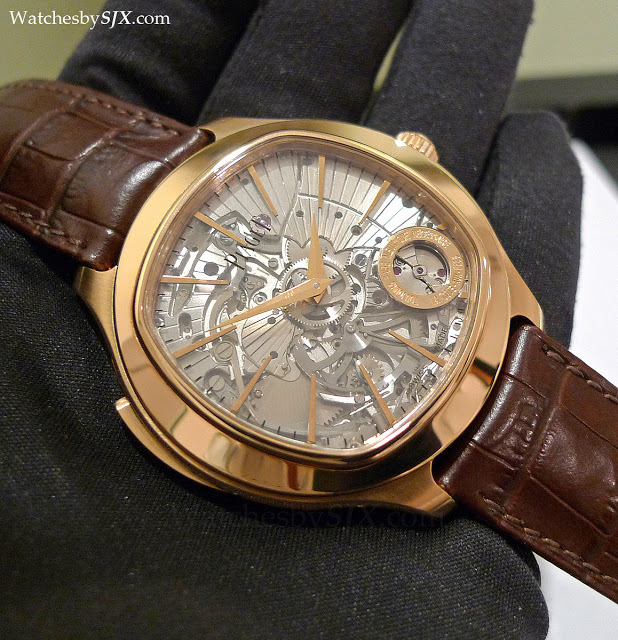 Piaget's flagship of its SIHH 2013 collection is the Emperador Coussin Minute Repeater, the brand's first in-house minute repeater. 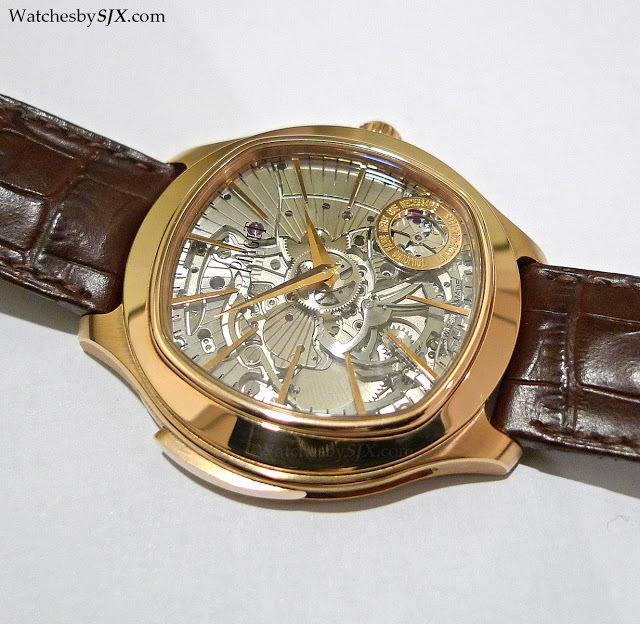 It also has the distinction of being the thinnest self-winding repeater on the market, standing just 9.4 mm high.